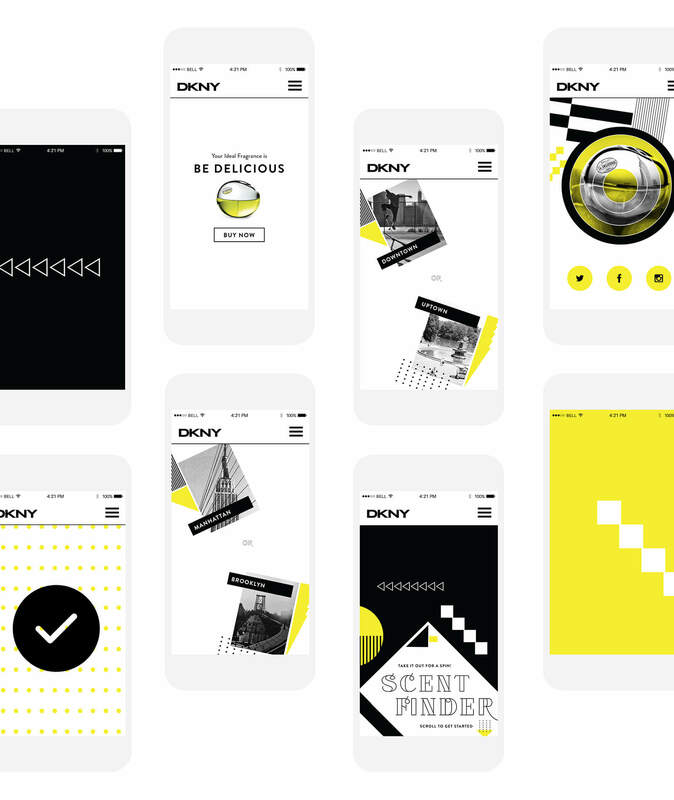 The challenge: to create an interactive experience that helped customers discover the DKNY fragrance line. We came up with the Scent Finder quiz, a responsive microsite featuring a series of questions which, once answered, delivered the user to a results page with a recommended fragrance and a custom, shareable gif. Because New York City is the backbone of the DKNY brand, I selected iconic NYC photography and created bold, minimalist graphics that reflect the architecture of the city. 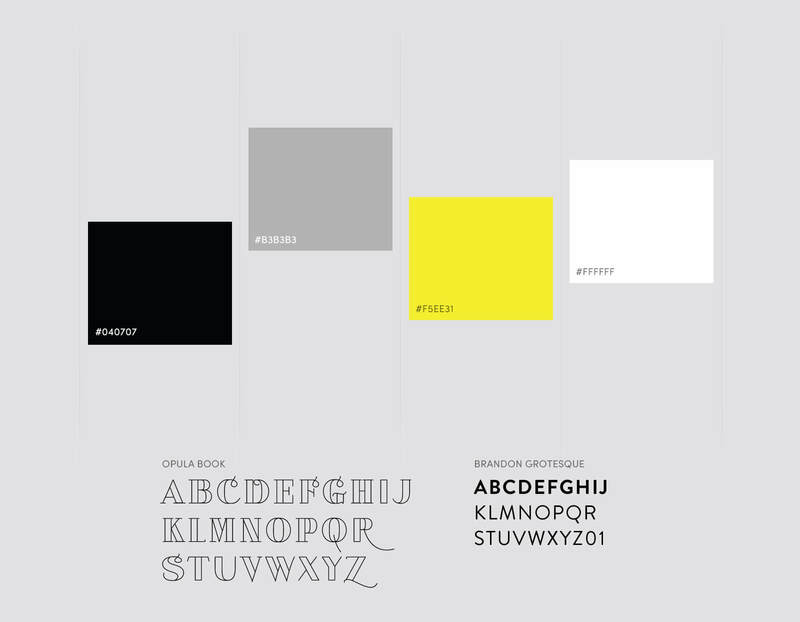 Black, white, and yellow — the colors of NYC taxis — made for an appropriate color scheme. 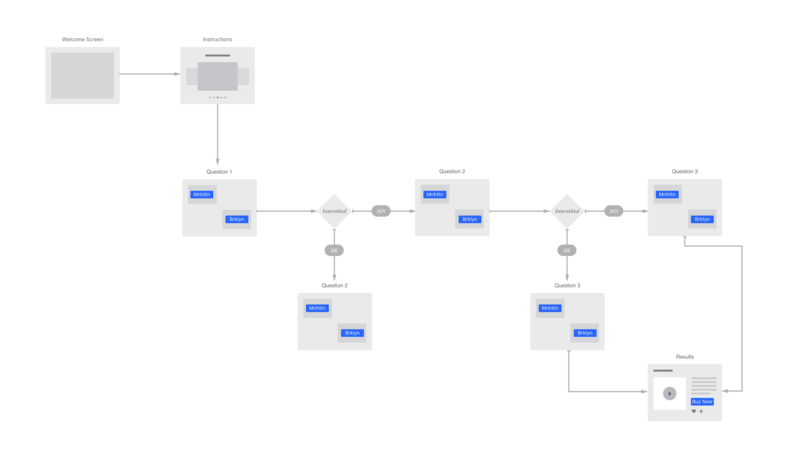 The design is based on a simple responsive grid system and looks great whether you're viewing the quiz on desktop, tablet, or mobile.